Just in time for the fourth day of Christmas, the Timberwolves unveiled their fourth and final uniform -- the City Edition -- on Wednesday. 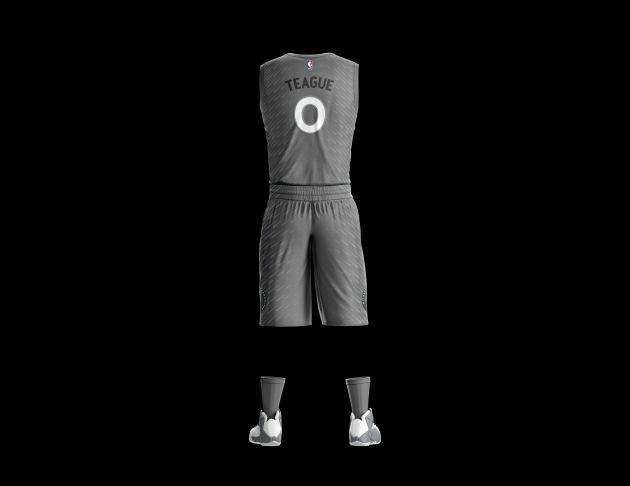 The uniform will debut on Feb. 1 when the Wolves play the Bucks at Target Center. 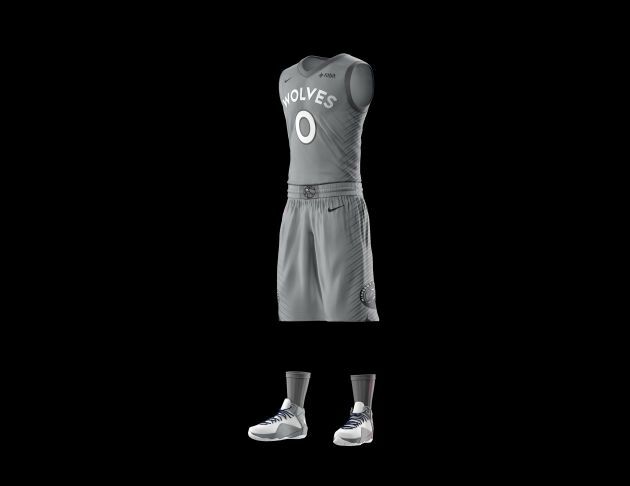 According to a team press release: The Timberwolves City Edition uniform follows the theme of “Bold North” which celebrates the area hosting Super Bowl LII on February 4, 2018. The strength and civic pride of this region will be on full display over the next few months, which has been an inspiration for the design of the team’s City Edition uniforms. The primary color celebrates the tonal gray winter coat of the wolf, while the white mimics the snow-covered land that is the North. The color allows the Wolf to reflect its surroundings and be an apex predator while camouflaging and protecting the wolf, which is reflective of the “New Era” of Timberwolves basketball – hungry and determined to break through and establish a winning culture. The pattern of the jersey is representative of the wolf’s guard hair during the winter months, which represents our fans willingness to defend our team and home court. The City Edition also will be worn April 5 at Denver, April 6 at the Lakers and at the home finale April 11 against Denver. Timberwolves' Nemanja Bjelica is back, Lakers' Lonzo Ball and Brandon Ingram out tonight in L.A.